Award winning Twirling Toddlers offer dance and movement classes for your little ones from 10 months old and upwards. Movement & sensory for babies, Ballet, Tap & Modern based classes for toddlers and upwards. 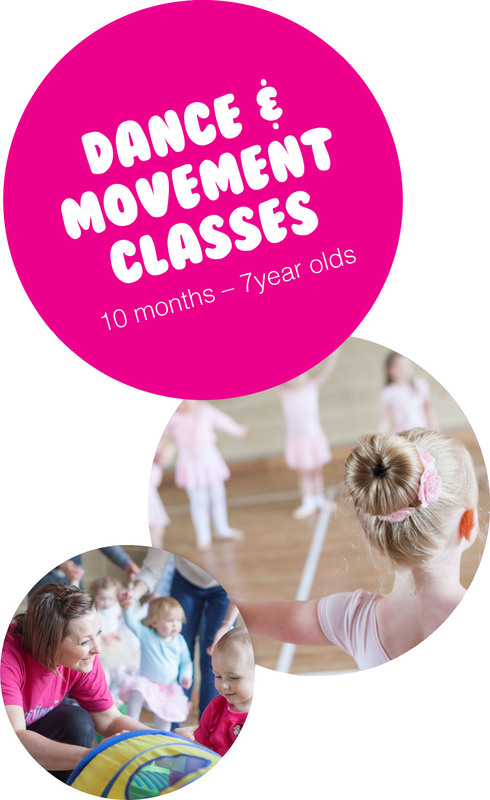 All our dance classes are taught in an interactive, fun and exciting way, designed to help your little ones to develop in lots of different ways! Twirling Toddlers is a fun dance and movement programme for boys and girls from 10 months old and upwards. We offer movement and sensory classes for babies, ballet, tap and street dance based classes for toddlers and upwards. Then once your dancer starts school we move on to follow the RAD ballet and IDTA tap/modern syllabus for older ones. All of our classes are taught in a fun environment and through the use of dance, songs, movements, props and sensory toys we can help your little one to develop in most areas of child development. A safe environment for your little to learn and most of all have fun with their carer by their side, not to mention the fun that Mummy, Daddy, Granny, Granddad or any adult who wishes to accompany your little one will have as well! Please note once your dancer starts a 4+ class we do then promote independent learning.